Blog - Bathrooms established in 1997. It’s hard to believe that we have been in business for over 20 years and how far we have come as a company. It was all started by a tragic event where Doug Seniors wife and Doug Juniors Mother Eileen passed away from having cancer. Doug Senior was left with the arduous task of bringing up three children on his own while carrying out a high pressure role at Yorkshire Electricity. It wasn’t long before Doug Snr made the difficult decision to stop working for Yorkshire Electricity and become a full time stay at home dad. With all three children being at school Doug Snr a bit of spare time on his hands and offered to refurbish the bathroom of his Sister and Brother in Law. That was when Doug Cleghorn Building Services was born in 1997 offering Kitchen & Bathroom Installation and home maintenance services and started off with him loading his tools in the back of a turquoise Fiat Uno nicknamed The Mambo Goddess. He bought the first company van a blue Nissan and it could be seen driving up and down the A58 in North Leeds with it’s impossible to miss sign writing. Setting up the business was an ideal solution to a difficult situation and allowed Doug Snr to keep busy while giving the flexibility to look after his family. With Doug Seniors like able character and Geordie charm the company soon started to gain a highly respected reputation by customers and his competitors alike. As the company started to grow Doug Jnr came on board and they expanded the operation increasing the workload. In 2012 Doug Snr decided he wanted to take a step back and reduce his involvement so it was agreed he would carry out the maintenance work and Doug Jnr would look after the larger scale work installing the Bathrooms and Kitchens. 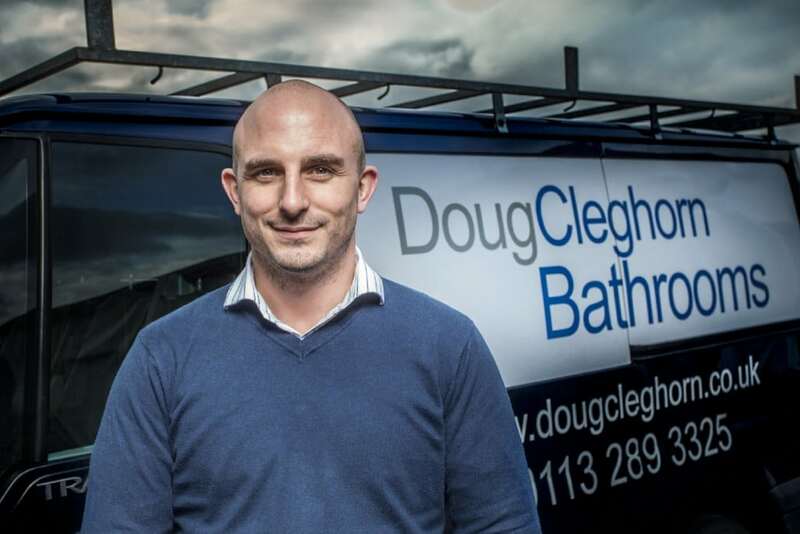 Doug Cleghorn Jnr had a preference for the installation of bathrooms and began growing that side of the business creating Doug Cleghorn Bathrooms with Doug Snr keeping Doug Cleghorn Building Services as purely a maintenance company. Doug Cleghorn Bathrooms soon got to a size where every waking hour was taken up by business. Quoting by night and fitting bathrooms by day. With an increase in customers buying their own products online as there was an increase in websites offering low cost substandard products a large amount of time was spent dealing with product issues supplied by customers. Doug Cleghorn Jnr then made the decision it was time to open his own showroom to give him control over the products he and his team installed and give him more free time to spend with his fiance Zoe. In January 2014 Doug Jnr opened a small showroom with the idea of it being appointment only and expanded his installation team with a fleet of vans. This quickly grew and within 9 months had to move to larger premises next door which is the location Doug Cleghorn Bathrooms are now on Limewood Approach. In November 2014 the new showroom was opened with a change in the installation side of the business where it would be sub contracted out to installers that passed a strict vetting process and overseen by Doug Cleghorn Bathrooms. Here we are today with Doug and his wife Zoe heading up the team of 5 in the showroom supplying hundreds of bathrooms a year, over 10 installation teams registered to install on behalf of us, and a long list of plumbers that buy their products off us as they have the same principals of only fitting the very best quality products. 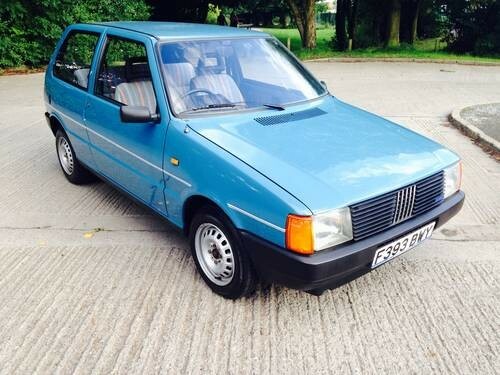 It’s unbelievable to think this started with one man in a turquoise Fiat Uno but we have the same ethos today as Doug Cleghorn Snr had when he started the company in providing the best service, offering quality products and having integrity in business.